Edwin Evers (left) and Timmy Horton are excited about the potential the Bass Pro Tour holds for anglers and the growth of the sport. The dominoes are starting to fall. Through postings on their respective social media sites, 2016 Bassmaster Classic winner Edwin Evers and 2000 B.A.S.S. 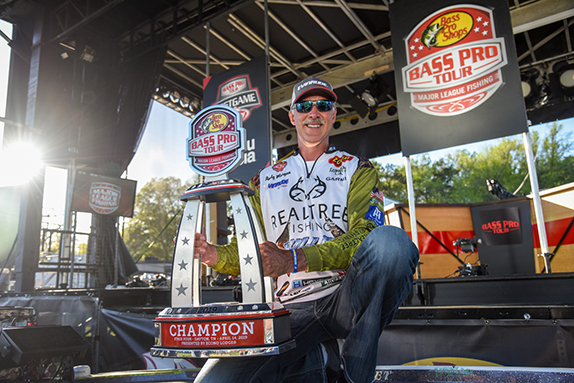 Angler of the Year Timmy Horton announced Monday evening their intentions to compete on the recently-announced Bass Pro Tour in 2019. Evers made the announcement on his Instagram page while Horton used a live video segment on his Facebook page to reveal his plans. They were the first known anglers of the 80 invited to publicly disclose their intentions to join the BPT next year, likely ending their distinguished Elite Series careers in the process. 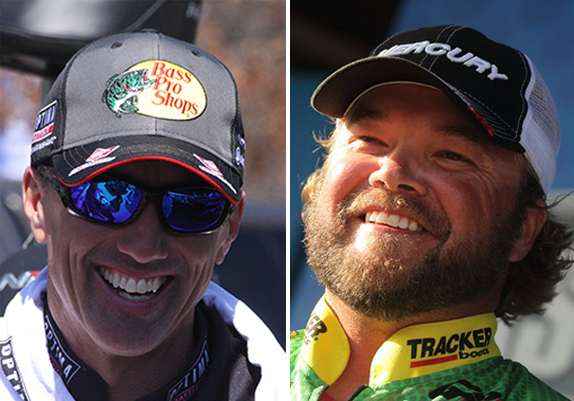 Both have been Major League Fishing competitors since the series began in 2011 and also have significant sponsorship ties to Bass Pro Shops, which is the title sponsor of the BPT. Other BPT invitees have either until Thursday, Friday or Saturday (each was given a two-week timeline depending on which BPT meeting they attended) to decide to sign on. If anglers opt out, a second round of invitations will be sent out. Many competitors are weighing their options since B.A.S.S. announced significant enhancements to the Elite Series entry fee/payout system in the wake of the BPT launch. The week-long early-registration period for the 2019 Elite Series opens Wednesday. I�ve been at this just over 20 years, and I�m thankful for all the people and the organizations that have brought me to where I am today. 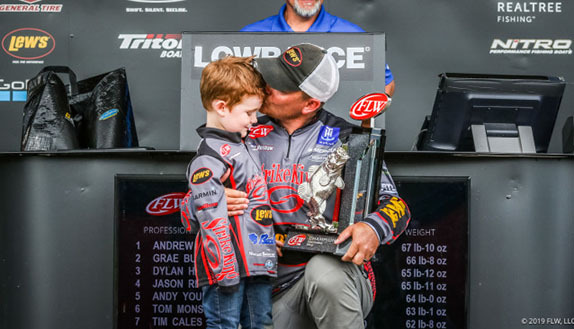 I�ve experienced some of the greatest honors bass fishing has to offer, and I�m excited as I look forward to an even brighter future for all of fishing. I hope my brothers in this fraternity we call pro fishing will realize that we�ve never had a greater opportunity than we have right now, and that I�ve seen more positive change in the last two weeks than I have in the past 20 years. It�s a chance for us to finally control our own destiny, and at the end of the day, you have to decide whether you want to be the bass or you want to be the shad. I want to be the bass. I�m excited about 2019 and our future fishing @majorleaguefishingofficial next year. For Evers, the decision to move on from B.A.S.S., where he�d developed into one of the most consistent and versatile anglers of his era, came down to having the ability to shape the future of the sport with the BPT. �I grew up loving B.A.S.S. and as a kid, that�s what we all knew and I�ve been blessed to be a part of it for 20 years,� Evers said. �After being a part of B.A.S.S. for 20 years I know there�s so much more we can do with the sport and we now have an opportunity to take it that next step. That made the decision easy. As successful as he�s been under the B.A.S.S. shield, Evers sees untapped potential with the BPT, which will have its own championship event and serve as the qualifying ground for the MLF Cups, of which Evers has won two. Both Evers and Horton were aware of plans to launch a new tournament series as far back as a year ago, but Evers said once he saw the BPT structure on paper at a recent meeting of invitees, it became an easy decision. 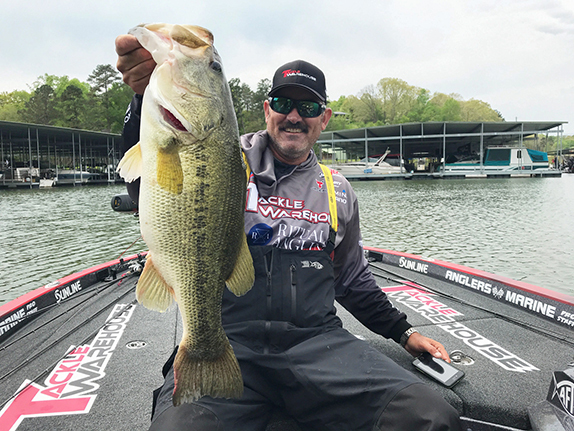 Evers believes there�s no reason why professional bass fishing can�t drive growth and participation in the sport the way professional golf has spurred growth at the grass-roots level. According to a May 2018 article published on Golf.com, there are more than 23 millions golfers in the U.S. By comparison, a five-year study released in September 2017 by the U.S. Department of the Interior revealed more than 35 million people engaged in the sport of fishing. Evers says the BPT and MLF provides the avenue to reach that broader audience. In Horton�s case, the popularity of MLF shows on TV coupled with the potential of the BPT was more than enough to convince him to shift gears. Horton said his excitement level before an Elite Series event is not close to what it is prior to an MLF Cup. He hopes to get the same rush of energy at BPT tournaments. Horton likes the fact that BPT competitors will have a say in how schedules are built and what entry fee/payout models are utilized, an aspect that he said was lacking at B.A.S.S. For years, Horton said those pleas seemed to fall on deaf ears. Shortly after the BPT was announced, B.A.S.S. made sweeping alterations to the Elite Series entry fee/payout structure for 2019. �It was like we turned in our two-week notice and suddenly the money was there,� he said. �We had been pleading for change for a long time and I�m not sure the fanbase realizes the struggles it�s been for a guy like Marty Robinson or myself. When you�re at the top of a sport, it shouldn�t be the struggle it�s been.